In last year’s debut issue of the most recent volume of Guardians of the Galaxy, writer Gerry Duggan rose the curtain on a saga that would not only impact the titular heroes, but almost every aspect of Marvel’s Cosmic Universe. Over the course of the series, major players returned to the cosmic fold like the Nova Corps, the Shi’ar Empire’s Fraternity of Raptors, and most importantly the six immensely powerful artifacts now known as the Infinity Stones. The end of that series set the stage for an intense conflict for control of the Stones between the Guardians and a number of major cosmic players. Act Two of Duggan’s cosmic saga, the currently unfolding Infinity Countdown, has turned the battle for control of the Infinity Stones into a full blown cosmic conflagration, as the stone wielders pass on the cosmic relics to new owners ,or struggle to retain control of them. This July, those struggles will come to a head when Duggan and artist Mike Deodato kick off the final act of the writer’s cosmic trilogy in Infinity Wars Prime. CBR spoke with Duggan about the issue, the cold openings of Infinity Countdown that set the stage for it, the recent changes the series wrought to fan-favorite Groot, and the chance to include wide-ranging characters including the Black Widow and Galactus in his grand, cosmic saga. CBR: There have been a lot of interesting scenes in Infinity Countdown, but as a reader I have found the cold openings especially fascinating. They remind me of Walt Simonson’s legendary Thor run in that they involve a forge and seem to foreshadow a greater and coming doom. Was that your intention with those scenes? Gerry Duggan: Yes! 100 percent! We knew that Infinity Wars was coming. Obviously Infinity Countdown was counting down to something. Guardians of the Galaxy was Act One of my big cosmic story. Infinity Countdown has been Act Two. And Infinity Wars is Act Three. The beginning forge scenes are just one of the many mysteries in Infinity Countdown. Another major one seems to be the nature of the Infinity Stones. Is this a mystery that we’ll get answers to by the time Countdown is over? Or will the mystery deepen as you move into Infinity Wars? I think in Countdown, the nature of the looming threat will become a little more in focus. Some of the other mysteries will be answered later in Infinity Wars. 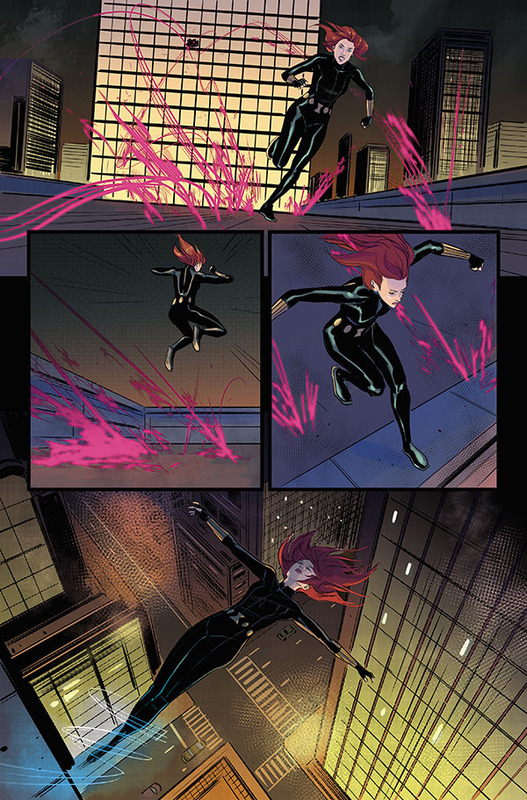 We’ve seen the Infinity Stones change hands a couple of times in this story, and for me one of the most interesting change ups came when Black Widow gained possession of the Space Stone. 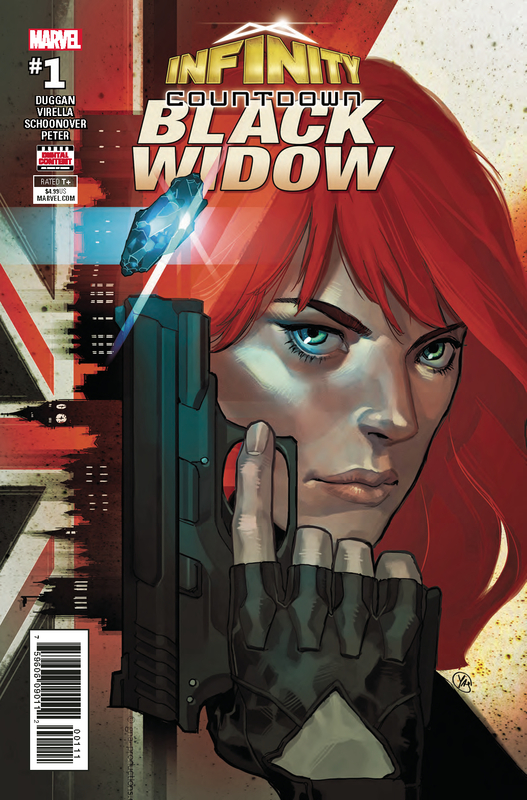 You and your 1872 collaborator Nik Virella are following up on that development in the Infinity Countdown: Black Widow special. What’s it like reuniting with Nik, and writing a character like Natasha in possession of a cosmic artifact? It’s been so much fun to reunite with Nik, and this particular story has been a real joy because it’s not often that you get to play with the Widow in a story that is sort of outside the comfort zone of the character. She has the Space Stone and what does that mean for her, and how does it change the kind of stories you can tell with her? Also, it’s interesting to see what the Mind Stone will do to Turk. He’s not even an A-List villain in Daredevil’s world, where he regularly appears. So if he survives the experience of having the Mind Stone, I imagine he’d be quite an elevated character in the Marvel Universe. Another interesting development in Infinity Countdown has been the restoration of Groot to his “factory settings.” What inspired this take on Groot? And what’s it like writing him with the ability to express himself with more dialogue? When we talked about Marvel Legacy, we discussed how to reflect that in our stories. And Groot in his first appearance is a Kirby monster. He’s quite a scary force. So we talked with Bill Rosemann, who is sort of our godfather of the Cosmic universe really in every medium now. When it comes to comics, films and games he is the go-to expert to chat up any sort of deep cut you have. I know he picked Groot to be on the Guardians back in the day because he had that great third person dialogue balloon. And I just sort of missed the sort of Doctor Doom of it all with Groot. [Laughs] In Infinity Countdown #4, the series’ penultimate issue, you brought Galactus into the story in a major way. Have you written the character before this in either of his incarnations, Lifebringer or Devourer? I really hadn’t. I was super grateful to get a chance to take a whack at the character now, because Galactus is one of those toys that depending on how he’s being used might lead to him going on a shelf for a little while. So I was eager to write him and I was thrilled that were not able to just write a cool Galactus, but also pay off some things. The rule of three is always on my mind. So technically, the first time I wrote Galactus it wasn’t really Galactus. I got to sort of call back to that gag again in Countdown. Now at the end of Countdown, I get to put a nice button on things. So if you’ve been reading our cosmic stories since Guardians #1, hopefully you really laughed when you got to Infinity Countdown #4. The post Duggan’s Cosmic Marvel Saga Counts Down to the Big Finish: Infinity Wars appeared first on CBR.